This book shows the role of the human body, analyzes the function of human flesh and demonstrates how the unconscious comes into being and grows. It shows also the role of language and words, without which consciousness of the self (cogito) doesn’t exist. As we learn to read and write, we learn to love and hate. The unconscious is a complex reality which could build a tragedy, i.e. malady, fixation, depression, etc. 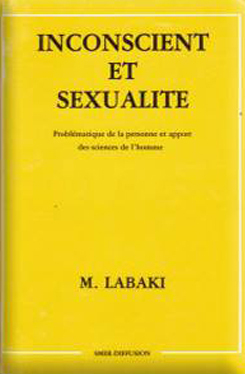 Sexuality is defined in this book as intentionality, movement of the flesh, mind and spirit. It sits on multiple, varied spaces, concrete and imaginative: the flesh, milieu, individual histories, etc. As sexuality is not a fortuitous attribute of humankind, it exacts total integrity of the person. To be effective, an educational process, or re-educational, must stop being a theory and must wrestle with imagination and facts to achieve a happier, more conscious life.